Noblesville is located just north of Indianapolis in Hamilton County. Noblesville also serves as the county seat of Hamilton County. The city of Noblesville is located within the Noblesville, Wayne, Fall Creek and Delaware Townships of Hamilton County. Noblesville is also home to Morse Reservoir which provides an excellent source of family fun as well as beautiful backyard views for its privileged residents. Noblesville is also home to several parks and golf courses. The parks offer playgrounds, trails, shelter areas, and more. What are the best attractions in Noblesville, IN? Noblesville is home to the Ruoff Mortgage Music Center which is one of Central Indiana’s premier outdoor concert venues. There are many attractions for all ages, including, Indiana Transportation Museum, Zipline & Aerial Adventure Park, Country Moon Winery, and more! Where is Noblesville, IN located? Noblesville is located just north of Fishers from US 37. It is located about 30 miles north of Indianapolis and can be accessed using I-69. 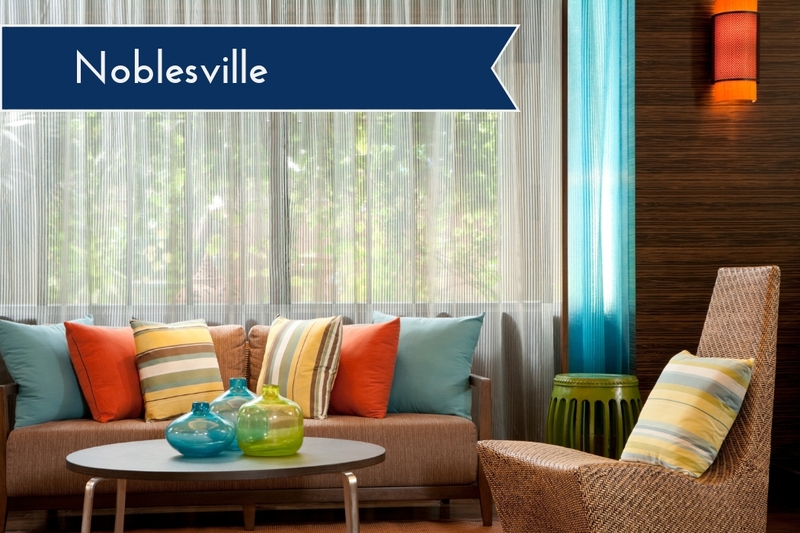 Noblesville is also located near Carmel and Westfield, which allows for more attractions and fun. What Are You Waiting For? Move to Noblesville, Indiana Today!